"I could not be any happier to be here tonight with so many very very smart people on the front line of shaping America's engineering and architectural future especially those of you who are helping to re-imagine and rebuild America's transportation infrastructure"
"We value the diversity of our state, the diversity of talent of experience, of knowledge, of background; and the contributions that diversity makes and lends to our economy and culture"
"I cannot tell you how much my wife and I enjoyed your gala dinner. The food was great, the entertainment was great and the people we met were even better"
After eight successful Annual Dinner Gala events, AAAEA - Capital Area is looking forward to another successful event this year. We had over 300 guests attend each of our past seven events. 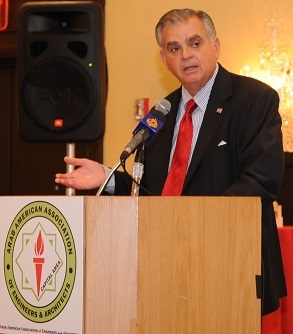 Among the many distinguished guests were US Secretary of Transportation, Maryland Lt. Governor, Ambassador Patrick Theros, President and Executive Director of US-Qatar Business Council, Maryland Transportation Secretary and Deputy Secretary, Maryland Secretary of the Environment, Deputy Secretary of Business and Economic Development in Maryland, Directors of Department of Public Works and Department of Transportation in the City of Baltimore, Director of Department of Public Works and Transportation in Prince George's County, City of Baltimore Mayor, and other industry leaders. Carla Reid currently serves as General Manager and Chief Executive Officer of the Washington Suburban Sanitary Commission. She is the 12th General Manager and the first woman to serve in this capacity in the Commission's 98-year history. Ms. Reid began her 20-year career at WSSC in 1986, ultimately serving as Deputy General Manager from 2005-2006. In addition to Deputy General Manager at WSSC, Reid also served as Chief of Mission Support, Chief of Customer Care, Meter Services Division Manager, Northern Meter Operations Section Head, Meter Maintenance Head, Field Operations Supervisor and Civil Engineer. Prior to re-joining the Commission in January 2016, Reid worked for Montgomery County Executive Isiah Leggett as the Director of the Department of Permitting Service. In 2011, she joined newly elected Prince George's County Executive Rushern L. Baker's staff as Deputy Chief Administrative Officer for Economic Development and Public Infrastructure. In this position, she led all operations related to economic development including permitting, transportation, environmental matters and tourism. For seven years, Reid was an adjunct professor at the University of the District of Columbia, where an award was created in her name to recognize outstanding teaching on the UDC staff. She holds a Bachelor of Science degree in civil engineering from Howard University and a master's degree in business administration from the University of Maryland, University College. She is an active member of her community, having served on several boards for organizations such as DC Water, Melwood, Montgomery Alliance, the Prince George's County Revenue Authority and Arts on the Block. Rudolph Chow Baltimore City Department of Public Works, Director. As Director of the Baltimore City Department of Public Works, Rudolph S. Chow, P.E., is committed to promoting the health, environment, and economy of the City. Since becoming Director in 2014, Director Chow has made cleaning the neighborhoods and revitalizing the aging water system his top priorities. He promoted cleaner, healthier neighborhoods by distributing Municipal Trash Cans to every residence that receives City trash service. He transformed the City's water billing system by overhauling the water billing process and by replacing miles of water and sewer lines. New water meters and state-of-the-art billing are delivering efficiency, reliability, and accuracy to our customers. Under Director Chow, DPW is taking historic steps to revitalize the City's aging sewer and water mains. DPW launched a comprehensive, long-term strategy to replace or rehabilitate 1,500 miles of city-owned water mains, and a program to comply with the City's sanitary sewer consent decree by rebuilding hundreds of miles of sewer mains and by upgrading the capacity of its Back River Wastewater Treatment Plant. 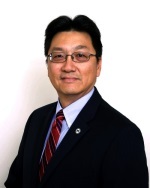 Director Chow is committed to ensuring that the management of DPW is the best in its class. In August, 2016 Baltimore City DPW was recognized as a "Utility of the Future Today" by the Utility of the Future (UOTF) Recognition Program, which celebrates the progress and exceptional performance of the nation's best-run wastewater utilities. Director Chow is recognized nationally for his visionary leadership, serving on the board of numerous industry groups. "I want to give every neighborhood the tools to create clean, healthy communities, and to ensure that the City's water infrastructure can support the economic growth of the City for generations to come," he says. Director Chow previously served as the Department's Deputy Director and head of the Bureau of Water and Wastewater. He has a bachelor's degree in civil engineering from George Washington University and a master's degree in environmental/water resources engineering from the University of Maryland. He brings more than 30 years of executive and managerial experience from both the water industry and public works. Gregory Slater Maryland Department of Transportation State Highway Administration, Administrator. As Administrator of the Maryland Department of Transportation (MDOT) State Highway Administration (SHA), Gregory Slater, is focused on integrating new and creative solutions, overseeing projects in every corner of the state and lives in the Baltimore region. Along with more than 3,200 dedicated civil servants and a multibillion dollar annual budget, MDOT SHA is charged with providing a safe, well-maintained, efficient highway system that enables mobility choices for all customers and supports Maryland's communities, economy and environment. Mr. Slater's leadership and priorities in the organization center around innovation, modernization, enhanced communication and providing a customer experience while keeping the needs of Maryland citizens at the center of every decision, project and service MDOT SHA provides. After beginning his career with two years in the private sector, Mr. Slater has dedicated 20 years to MDOT with experience in both planning and the engineering with a focus on integrating innovation and performance driven initiatives into the planning and engineering processes. 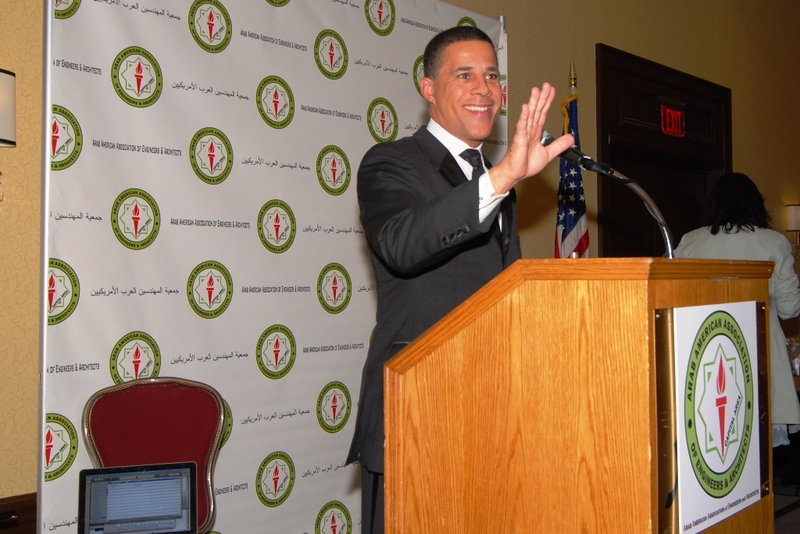 He most recently served as Deputy Administrator for Planning, Engineering, Real Estate and Environment with seven years prior to that as Director of Planning and Preliminary Engineering. 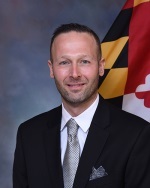 Mr. Slater is a native Marylander a 1997 graduate of Towson University and a 2007 Graduate of the University of Maryland National Leadership Institute and a member of the Leadership Maryland Class of 2015. He participates on several transportation industry committees and serves as Chair of the American Association of State Highway and Transportation Officials (AASHTO) Transportation Data Management and Analytics Committee. 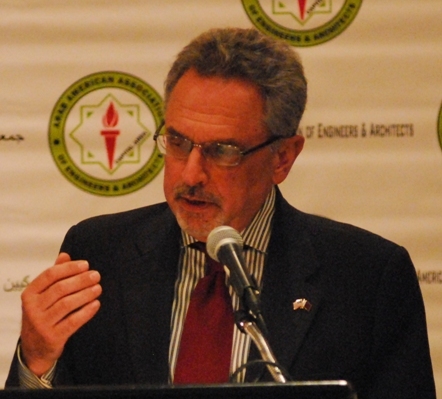 He also is a member of several committees on the National Academy of Sciences Transportation Research Board.